X is a meandering tale, with obvious filler detailing Kinsey’s daily life-making coffee, driving the streets, reading mail, long monologues that go nowhere. What was also painfully obvious was there was some sort of word count either the publisher, editor or president of the company wanted. The plot waned horribly. Did Ms. Grafton put the book away for months at a time, then come back and write? Place feels out of place in this tome, as if Millhone’s town were brand spanking new. Nothing felt right. Let’s talk about supporting characters and sub-plots. The elderly next door neighbors of Henry and Kinsey read as if it were lifted from three other Grafton books. Nothing new there, either. Sure, the specifics were ‘different’, but really? I expected something new and exciting, but after 23 books, I can guess finding new surprises for readers can become taxing. We are treated to past performers who really didn’t add anything to the main plot, which was all over the place. 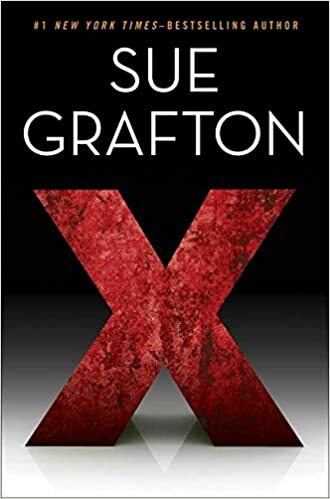 I feel bad for Ms. Grafton, afterall, crafting a novel takes time, creativity and effort but X doesn’t hit the spot this time. I give 2 stars.